Whether you’re a student, teacher, parent or mentor, if you’re one of the growing members of Facebook, you should visit our new Mister Science Fair Facebook page. If you “Like” us on Facebook, you will get exciting ideas and useful information, advice and resources about creating a science fair project and/or an engineering design project. 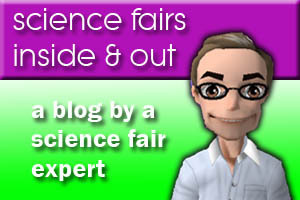 You’ll also find out news about science fair competitions around the world for students, teachers & schools, and much more. I recently read a quote from the most influential physicist of the 20th century, Albert Einstein, and it immediately made me LOL (laugh out loud). Einstein said, “A person who has not made his great contribution to science before the age of thirty will never do so.” (Brodetsky, S. Nature 150, 698-699 (1942)). I don’t know why I thought the quote was funny, but it brought to mind the importance of getting students interested in science and the “wow factor” of scientific discovery, at as young an age as possible. Younger scientists and inventors also include Apple co-founder Steve Jobs, noted chemist Glenn Seaborg, and Danish Nobel Prize winning physicist Neils Bohr who developed the model of the atom and who’s one of the scientists featured in a new book for children The Desperate Case of the Diamond Chip. A few years ago, Francis Collins, the director of the NIH, stated in a Wall Street Journal article (Fleeting Youth, Fading Creativity, February 2010) “researchers in the early stages of their careers tend to be the ones with the fire in the belly. They’re not afraid of tackling the really hard problems.” As a result, Collins further went on to say the NIH was intending to increase the percentage of grants going to scientists applying for their first grant. 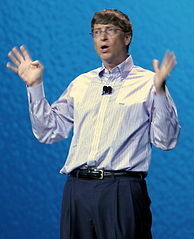 Bill Gates was 13 years old when he developed an interest in the then burgeoning field of computer programming. Within a few years, he found ways to access computer time at local computer companies. By the time he was a college sophomore, he was devising solutions to complex and unsolved math problems with his programming skills. Before his 32rd birthday, Gates had become the world’s youngest self-made billionaire.